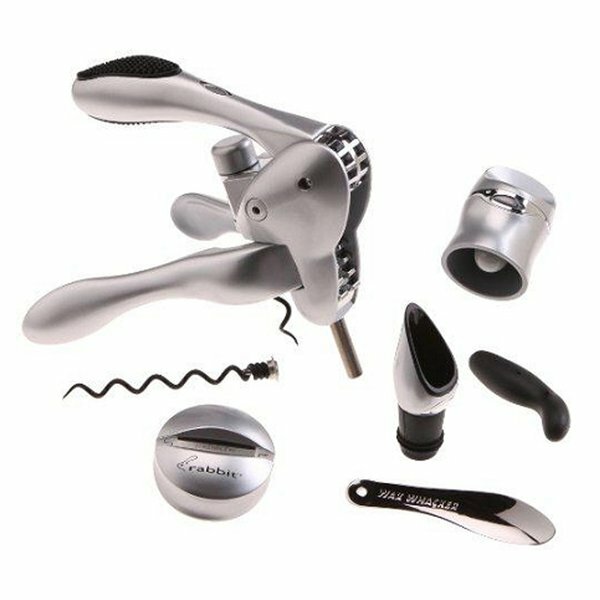 This is my personal favorite among all wine openers, everything from the shape, design, mechanics, versatility and overall reliability have left me using no other. You may be wondering what about this huge contraption can possibly leave a frequent user of wine keys and hater of cheap plastic like me to venture into the world of Metrokane Rabbit; well let me share my reasons. First of all the design may be huge and cumbersome but this large and entirely robust design is what gives me confidence when I operate it, although it is made of plastic, it does not feel flimsy and cheap at all, the silver paint makes this opener feel as if it is made of stainless steel, but seriously if the opener was made of metal I couldn’t imagine the weight and how it would affect the elderly or those who are not strong enough. The design incorporates levers and grips, the term rabbit may have come from the grips as the look like rabbit ears, or the shape of the opener itself, but I usually cal these openers “broken butterflies” as they look like half a butterfly. 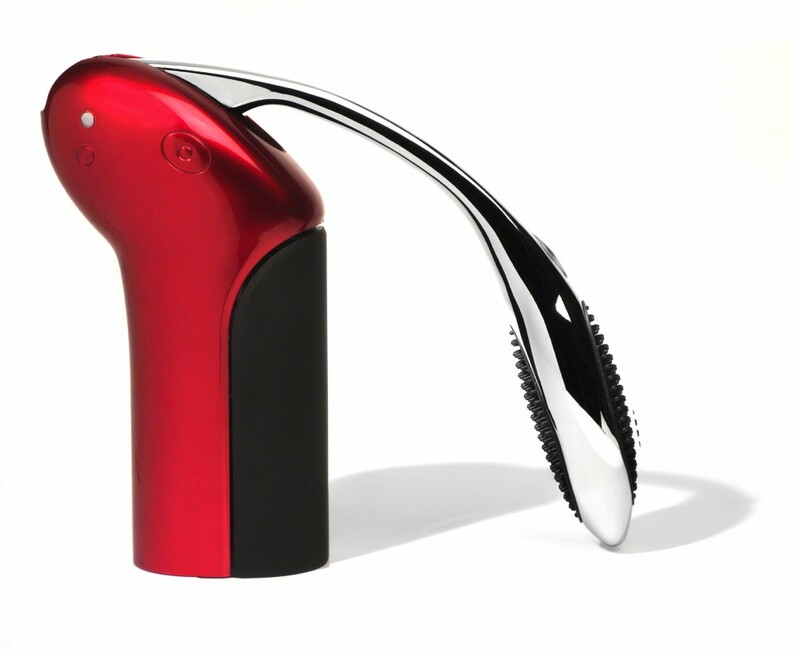 If you have trouble using this Metrokane Rabbit Wine Opener Tool Kit then it’s either one of two things, one being that you have received a faulty part that was broken during shipment or manufacturing and two being that you are incapable of handling this opener. 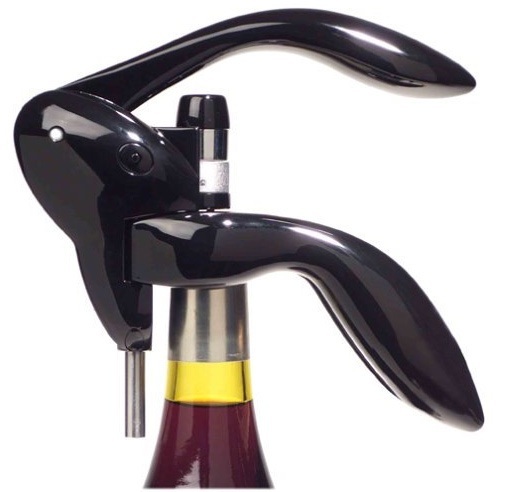 All you need to remember with this is to grip the neck of the bottle, raise the lever to let the worm in and return the lever to its original position to fully draw the cork, if that is not simple then I don’t know what would be. The worm is very tough, it has seen more than it is supposed to of corks, be it synthetic or regular organic ones, this worm will always find its way through, and in record time. This set came with a lot of extra which are very useful for wine connoisseurs like me, a wine stopper, wax seal remover, a great squeeze and twist foil cutter, a drip stop ring, and an extra worm, I am definitely giving this off as a gift, all by itself, no bottle to is needed to compliment the opener. Metrokane offers a 10 year warranty for the Metrokane Rabbit Wine Opener Tool Kit, that is more than enough to show how reliable and well made this opener is, I have been using this countless times and it has never failed me once, aside being a little too big and having average quality paint and packaging, this set is very affordable so why should one complain?